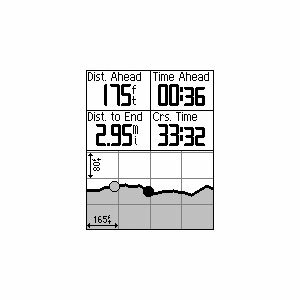 Sharpen your cycling performance with Edge 500, a lightweight GPS-based bike computer for performance-driven cyclists. 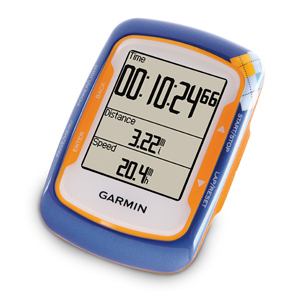 Loaded with data, Edge 500 tracks your distance, speed, location and elevation with high sensitivity GPS. Add an ANT+® compatible heart rate monitor, speed/cadence sensor or compatible power meter for a finely-tuned analysis of your ride. The Edge 500 attaches easily to the stem or handlebars of your bike with its low-profile bike mount. The Edge attaches easily to the mount with a simple quarter-turn. When you're ready to ride, just power on your Edge, acquire GPS satellites and go. 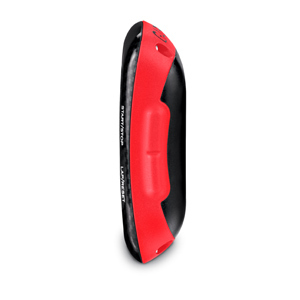 Edge 500 features a high-sensitivity GPS receiver with HotFix® satellite prediction to calculate your position faster. During your ride, Edge 500 measures your speed, distance, time, calories burned, altitude, climb and descent, and records this data for your review. For extra-precise climb and descent data, Edge 500 also incorporates a barometric altimeter to pinpoint changes in elevation. All Edge 500 versions work with third-party ANT+-enabled power meters to display your power output in watts as you ride. 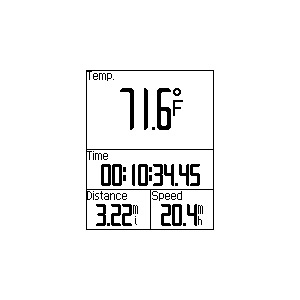 This valuable data shows you how hard you're working, regardless of conditions affecting your ride, so you can train smarter. 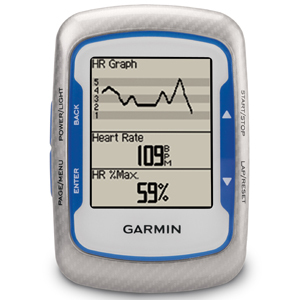 Some versions also ship with a digital heart rate monitor and speed/cadence sensor. Other helpful training features include a Courses feature, which helps you compare successive rides over the same route, as well as Auto Pause, Auto Lap and temperature readings. Edge also alerts you if you’re moving, but the timer is not running. When paired with a heart rate monitor, Edge 500 tracks heart beats per minute and uses your heart rate for advanced calorie computation, so you know how many calories you're burning. Train in a certain heart-rate zone to improve your fitness level or compare your pace and heart rate to past performance over the same ride. 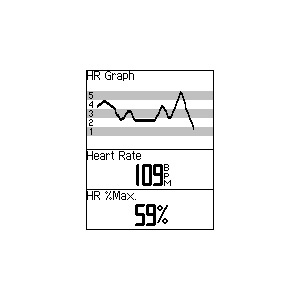 Once your ride’s done, connect Edge 500 to your computer with the included USB cable to analyze your performance. 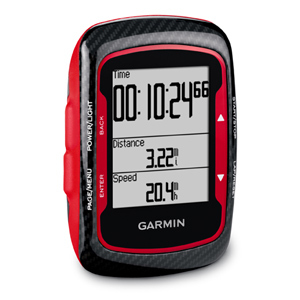 With a simple click, you can join a worldwide network of cyclists and outdoor enthusiasts through Garmin Connect™, a one-stop site for data analysis and sharing. Sharpen your cycling performance with Edge 500, a lightweight GPS-based cycling computer for performance-driven cyclists. 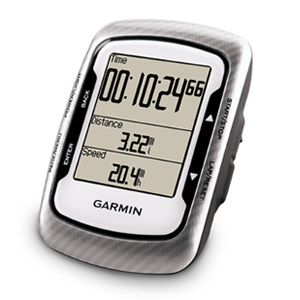 Loaded with data, Edge 500 tracks your distance, speed, location and elevation with high sensitivity GPS. Add an ANT+® compatible heart rate monitor, speed/cadence sensor or compatible power meter for a finely-tuned analysis of your ride. The Edge 500 attaches easily to the stem or handlebars of your bike with its low-profile bike mount. The Edge attaches easily to the mount with a simple quarter-turn. When you're ready to ride, just power on your Edge, acquire GPS satellites and go. Edge 500 features a high-sensitivity GPS receiver with HotFix™ satellite prediction to calculate your position faster. 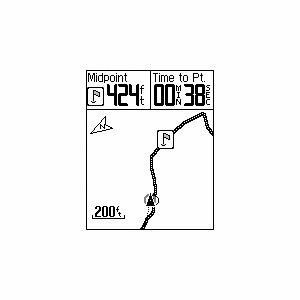 Other helpful training features include a Courses feature, which helps you compare successive rides over the same route, as well as Auto Pause, Auto Lap and temperature readings. Edge also alerts you if you’re moving but the timer is not running. When paired with a Garmin heart rate monitor, Edge 500 tracks heart beats per minute and uses your heart rate for advanced calorie computation, so you know how many calories you're burning. Train in a certain heart-rate zone to improve your fitness level or compare your pace and heart rate to past performance over the same ride. 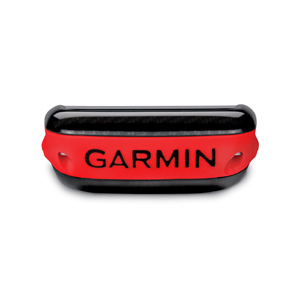 Once your ride’s done, connect Edge 500 to your computer with the included USB cable to analyse your performance. With a simple click, you can join a worldwide network of cyclists and outdoor enthusiasts through Garmin Connect™, a one-stop site for data analysis and sharing.